You know everything about her life. You know nothing at all. 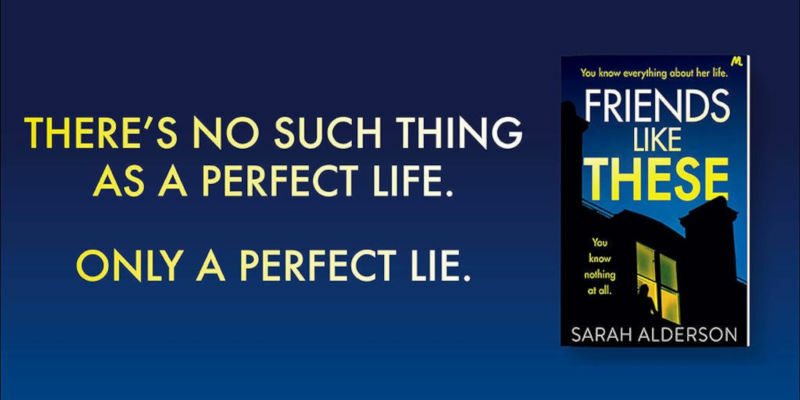 Don’t miss Sarah Alderson’s new novel Friends Like These! A gripping thriller about fake friendships and the truth that lies behind the Facebook page, for fans of The Girlfriend and Friend Request. Sarah Alderson is a British born, LA based author and screenwriter. She left the UK in 2010 to travel the world with her husband and then toddler daughter (a journey documented in her memoir Can We Live Here?). After living in Bali, Indonesia for five years, during which time she published seven young adult books, they moved to California, where Sarah now balances screenwriting for TV and films with writing novels. She also has a successful career as a romance author under the pen name Mila Gray.